FINRA Bars Broker Dealer Financial Corp’s Norman R. Sicard Jr.
Norman R. Sicard Jr. (CRD #2269472, West Des Moines, Iowa), who was a registered representative of Broker Dealer Financial Services Corp. between May 26, 2011 and December 15, 2016, consented to being barred by the Financial Industry Regulatory Authority (“FINRA”) from acting as a broker or associating with FINRA member broker-dealer firms pursuant to a Letter of Acceptance, Waiver and Consent (“AWC”) #2016049841901 executed on May 9, 2018. Sicard was found liable by FINRA Department of Enforcement for failing to testify in a FINRA investigation into his alleged misconduct. The AWC disclosed that in April 2016, approximately eight months prior to Sicard’s voluntary termination from Broker Dealer Financial Services Corp., FINRA commenced an investigation into whether he potentially obtained a loan from a customer without disclosing it to the firm; failed to notify FINRA about his bankruptcy proceeding; and recommended investments that were not suitable for a customer of the firm. As indicated in the AWC, on February 20, 2018, FINRA requested Sicard’s recorded testimony pursuant to Rule 8210 – which grants FINRA the right to require brokers subject of FINRA’s jurisdiction to furnish information and testify regarding any matter pertaining to an investigation. Evidently, FINRA’s request had been acknowledged by Sicard through his e-mail to FINRA on March 9, 2018 and by virtue of his submission of the Letter of Acceptance, Waiver and Consent. The AWC’s findings established that Sicard refused to make any appearance and testify in the investigation into his possible misconduct. 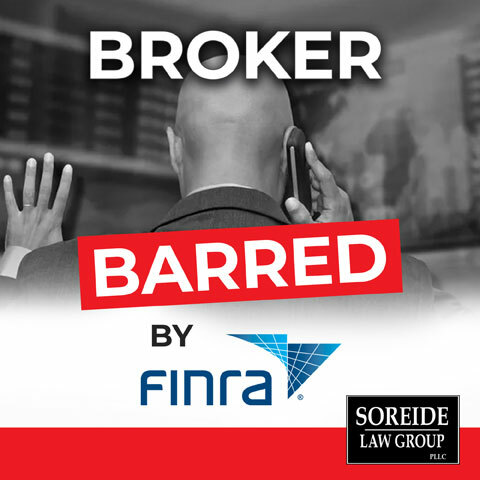 As a result, FINRA Department of Enforcement found Sicard to have committed a violation of FINRA Rules 8210 and 2010, and imposed the sanction of a bar. nd exchange-traded fund. The firm and customer agreed to settle the arbitration for $450,000.00 in damages. (FINRA Arbitration #16-00889). 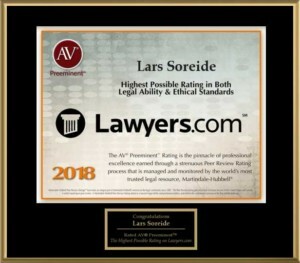 Investors who have suffered losses from Norman R. Sicard Jr.’s activities or from another registered representative’s poor advice are welcome to contact Soreide Law Group at (888) 760-6552 to speak with experienced counsel about potentially recovering investment losses. We represent clients in every state through the Financial Industry Regulatory Authority or “FINRA” against brokers and brokerage firms, and there is no fee unless we are successful in recovering your losses.